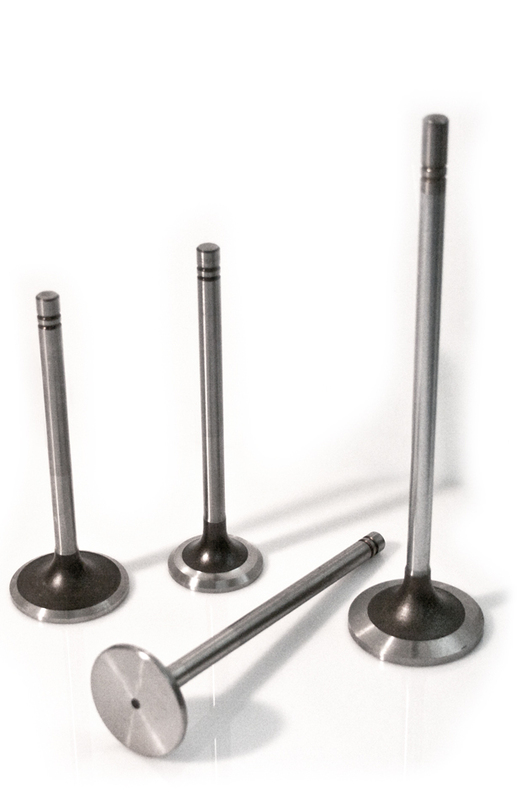 CTP offers a complete range of Bimetallic and Trimetallic specialty engine valves. The bimetallic valves are welded using a friction-welding process that merges the two pieces of material; Austentic and Martensitic. Austentic Steel known for its high heat and corrosion resistance properties, is used at the head, while the stem is made from Martensitic Steel which has high tensile strength and abrasive wear resistance properties. These bimetallic engine valves provide a higher resistance to wear and extreme temperatures. The CTP Tri-metallic valves are subjected to a secondary process, where a Stellite alloy is deposit welded onto the seat of the exhaust valves. Stellite is a group of cobalt-based alloys that are extremely resistant to corrosion, wear and intense temperatures. During manufacturing all of the measurements of the valves are verified with highly precise instrumentation to ensure the concentricity of the valve to guarantee a perfect seal between the valve and valve seat every time. ✓ Excellent resistance to extreme temperatures of the engine. ✓ Better resistance to mechanical stress and chemical corrosion.